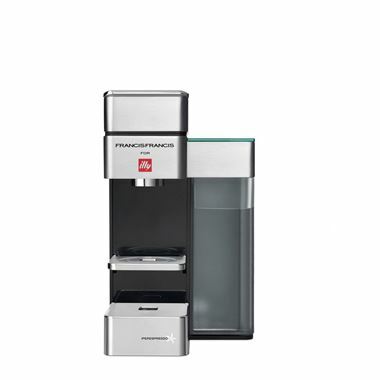 Machine for espresso & filter coffee. 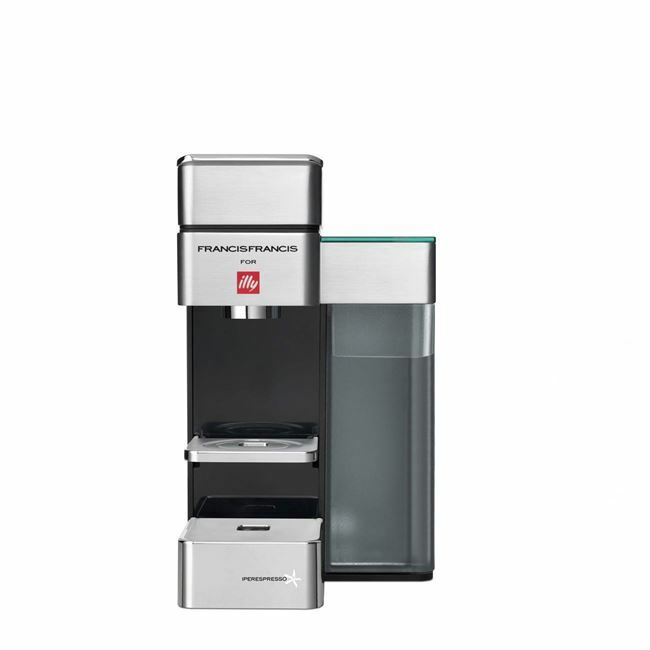 capsules specially designed for each coffee preparation. The illy Espresso capsules use a two-stage process for an aromatic, full bodied espresso with a rich, long-lasting crema. The illy Coffee capsules feature a high performance mini filter designed to brew an exceptionally flavorful and aromatic cup of coffee. Iperespresso 2 phase innovative technology:"diffusion - distillation". Possibility to customize preferred volumes. Used capsule capacity: 10 capsules. Energy saving after 30 minutes. Dimensions: 28.5cm x 14.5cm x 24.5cm. Material: Aluminium and tempered glass.